Bruce Calnek was born in 1932 in upstate New York, USA. He earned DVM (1955) and MS (1956) degrees at Cornell University. In 1957, he took a position as Associate Professor at the University of Massachusetts, where he studied avian encephalomyelitis (AE). His work culminated in an understanding of its pathogenesis and epizootiology, and the development of an effective oral AE vaccine that continues to be used worldwide to this day. In 1961, he returned to Cornell in the newly established Department of Avian Diseases. There, his work centered on viral neoplasms of chickens, initially on lymphoid leukosis (LL), then on Marek’s disease (MD). With generous support through National Cancer Institute grants, he led a team of colleagues and graduate students in studies that carefully dissected various features of MD. Important discoveries included his identification of the feather follicle epithelium as the sole source of enveloped MD herpesvirus involved in bird-to-bird transmission, and ultimately, the widely accepted description of the pathogenesis of the disease. 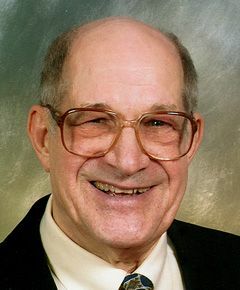 In addition to studies on LL and MD, he worked on a variety of other infectious agents including mycoplasmas, reovirus, adenovirus, infectious laryngotracheitis virus, reticuloendotheliosis virus, Rous sarcoma virus and chicken anemia virus. Dr Calnek has received numerous honors, including a named (Steffen) professorship, and he served as Chairman of the Department of Avian and Aquatic Animal Medicine for nearly 20 years. He retired in 1995, but continued a modest research program after retirement. He was both an author and editor for the definitive text, Diseases of Poultry, for 30 years. He was Editor-in-Chief for two of the five editions prepared during that period. He published numerous book chapters and over 150 scientific papers, and he has presented invited lectures in a variety of international settings. Following retirement, he expanded his interest and commitment to woodworking and presently is a member of Handwork, a craft cooperative in Ithaca where he sells a large variety of clocks. He and Mary Jeanne, his wife of 59 years, have 2 sons, 6 grandchildren and 1 great grandchild. They live in a continuing-care retirement community in Ithaca, NY.